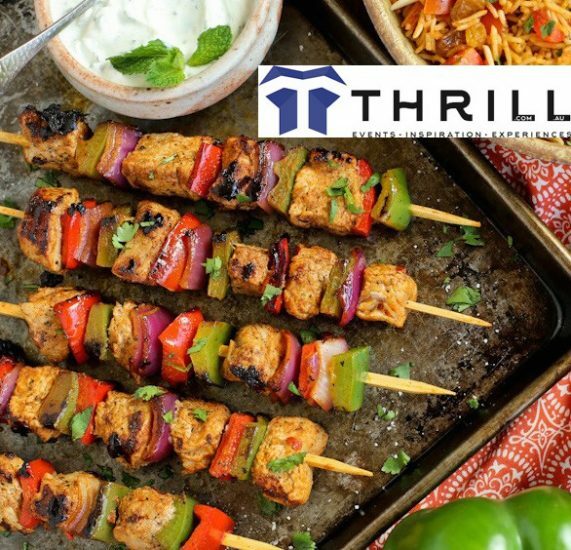 Thrill caters for all corporate event occasions providing exceptional fresh foods, delicious meat lovers and vegetarian BBQs, nutritious salads, healthy treats and amazing juices. Alongside our Master Chef and MKR style cooking activities we have a team dedicated to catering fine, wholesome fresh foods. Making sure all guests at your corporate events, activities, parties, weddings, engagements, celebrations and corporate functions are well catered for! From our base in Sydney CBD, Blue Mountains, Hunter Valley, Southern Highlands and Central to the Gold Coast. THRILL Foods provide gourmet catering services and drinks waitering (RSA) with rustic and modern mobile bars complimented with custom cooked foods, tailored to suit any indoor or outdoor event. We cater for small teams from 20 staff to large scale business events for 100’s to 1,000’s of employees. Even cooking directly at your premises or including a Master Chef and MKR style team activities with our professional caterers. Call us now and find out how we can Thrill your event with delicious, nutritious foods. Have dietary requirements? Specific needs to ensure the food is perfect for your event? Leave it all to the catering experts at Sydney’s favourite caterers, Thrill Catering. We have been able to provide premium quality food and beverage to corporate, government and private business clients around Sydney and Australia wide – browse menu options or contact us for more information. 02 9630 2222.